If you’re thinking about getting porcelain veneers, you want to make sure you’re making the right decision — and one way to do that is to compare the advantages and potential considerations of the procedure you’re thinking about getting. Your dentist in Ocala understands and wants to help you be completely informed on the pros and cons of any potential treatment. For imperfect front teeth, porcelain veneers are a wonderful investment. One significant advantage of veneers is that they do not stain. Your natural teeth gradually become discolored thanks to repeated exposure to coffee, wine, dark beer, and even things you might not think about at first — like ripe berries and rare steaks. With porcelain veneers, though, you won’t have to worry about getting a whitening treatment every year or so to renew your sparkling smile. But why won’t your new dental veneers stain? That’s a good question. Keep reading to find out the science behind your stain-resistant smile remaker. There wouldn’t really be any point in investing in porcelain veneers if you just had to worry about them getting stained or discolored with time. Fortunately, you don’t. The reason veneers don’t absorb the colors from what you eat and drink is simple. Porcelain, which veneers are made out of, is non-porous. Compare that to your natural tooth enamel and its tiny microscopic pores that love to absorb pigments from your morning cup of coffee or evening glass of wine, and it’s obvious why you will not have to worry about your veneers staining like you do with your natural teeth. Even though porcelain is not porous like your natural teeth, it still reflects light just like they do, which helps veneers look completely natural. And because they are highly customizable to match the size, shape, and shade that will suit your unique facial structure best, your cosmetic dentist can easily reveal your most attractive looking smile with porcelain veneers. 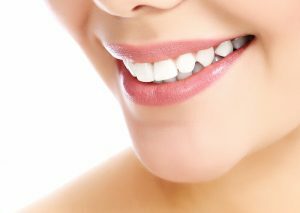 With proper care, you can expect new veneers to last for 10 years or more. Simply brush and floss your teeth regularly and visit your dentist every six months (or more if recommended) to maintain a clean, healthy smile. If you play contact sports or grind your teeth at night, wear a custom-fitted mouthguard to keep them from chipping or breaking. Many healthy adult patients (over the age of 18) can benefit from porcelain veneers. People who have severe gum disease, bruxism (nighttime teeth grinding), or who are undergoing orthodontics will need to complete successful treatments before getting porcelain veneers. Get in touch with your cosmetic dentist to discuss how your smile can benefit from this popular treatment — you deserve a flawless smile! Dr. Daniel Weldon is a trusted provider of cosmetic dentistry for Ocala and the surrounding communities. To learn more about porcelain veneers or any of his other general dental services, you are invited to contact the office at 352-622-3236.